Still looking good in September - after all the rain this summer - is Sissinghurst Castle, former home of Vita Sackville West and one of the most visited properties in Britain. Also one of the most photographed gardens in the UK, especially the tower above. 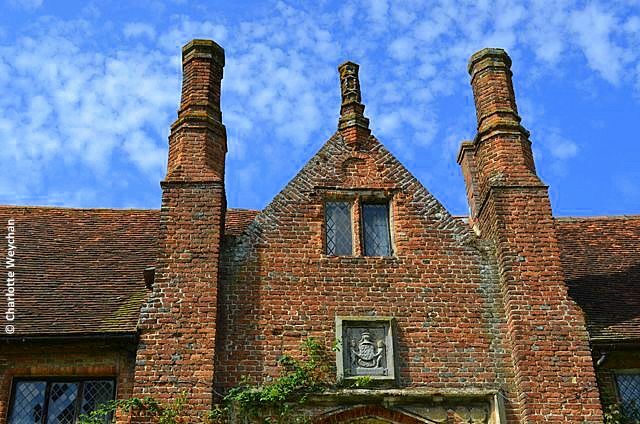 Sissinghurst isn't actually a castle, but rather a manor house with a tall tower. But the "Castle" has stuck and Harold Nicholson and his wife Vita were more than happy to inhabit this particular home. And we all know the adage: "An Englishman's home is his castle"! Climb to the top of the tower on a clear September day and you'll have a better view of the garden than you'll ever get on the ground. 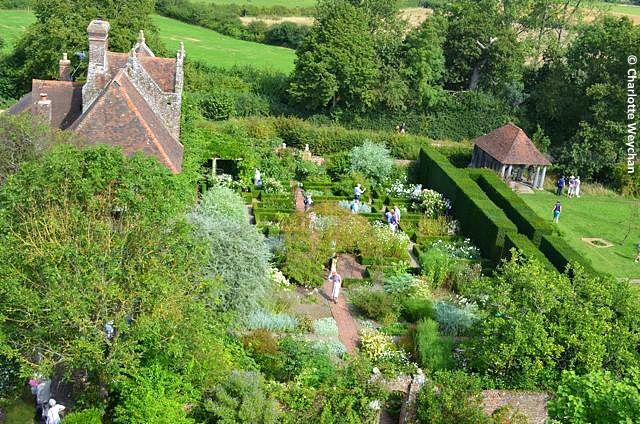 Look out over the whole property from above and you'll see why Sissinghurst is famous for its garden "rooms". 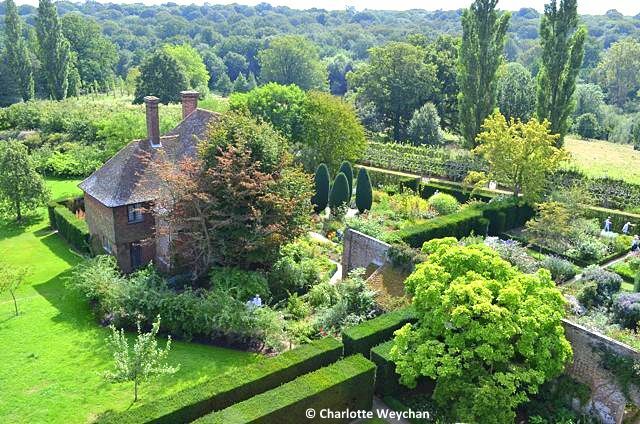 Famous for its cottage garden (below) and fine views over the surrounding Kent countryside, the house is still lived in part time by Vita Sackville West's grandson, who's married to well-known garden writer - Sarah Raven, who has her own garden nearby. But the garden room that's most popular at Sissinghurst is the White Garden (below) - already a little blousy at this time of year, but a concept that's inspired gardeners worldwide. Close enough to Great Dixter to combine the two in a day and compare the two very different planting styles of Vita Sackville West and Christopher Lloyd. 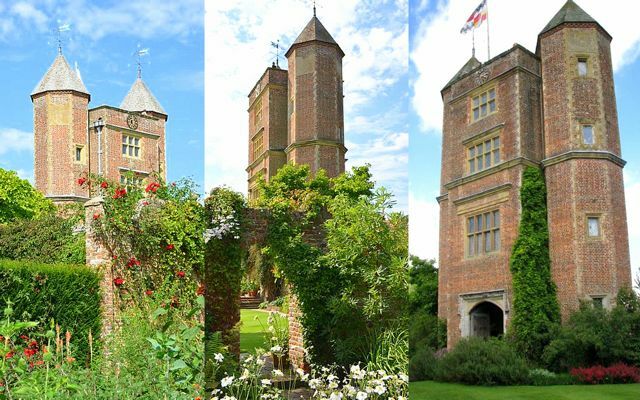 Climb the tower to get the most of Sissinghurst, although it can be a little busy. You'll get away from the crowds on the ground and enjoy a bird's eye view! Open five days a week from 10.30-17.30 (closed Wednesday and Thursday) although entry is a whopping £10.40 unless you're a National Trust member. With membership costing just £53 a year, you'd be well advised to join, so that you can wander through all their other celebrated garden properties including Hidcote Manor (£9.05), Mottisfont Abbey (£8.10), Nymans (£9.00), Polesden Lacey (£10.80) and Wakehurst Place (£12.00). 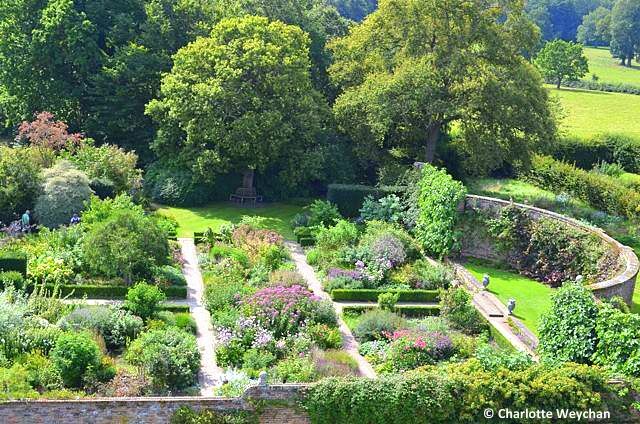 One visit to each of these gardens and you've already paid your annual membership fee! How fabulous! love those aerial views. Thanks for sharing a wonderful garden I'll probably never see in person. Absolutely Gorgeous! How lucky you are to travel around to such overwhelmingly beautiful gardens on such a grand scale! I really enjoy your blog! What a beautiful overhead view! I absolutely love the juxtaposition of a cleanly trimmed hedge with a more informal, cottage style garden. Gorgeous. Splendide jardin! Votre bannière est magnifique. 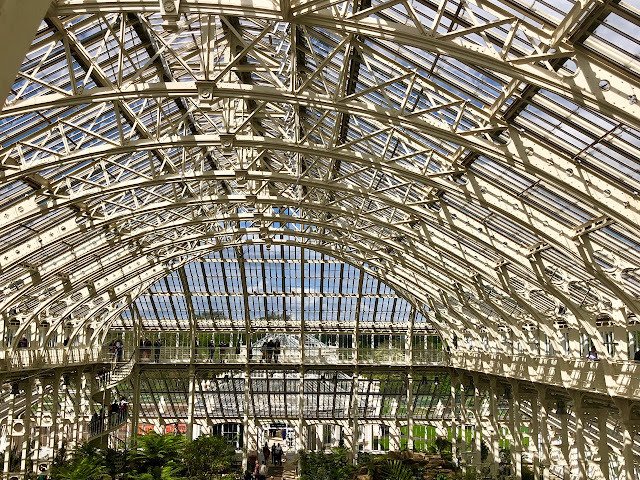 This is one of my favorite blogs - traveling all over the world, but especially in GB to visit gardens. There is nothing but beauty here! 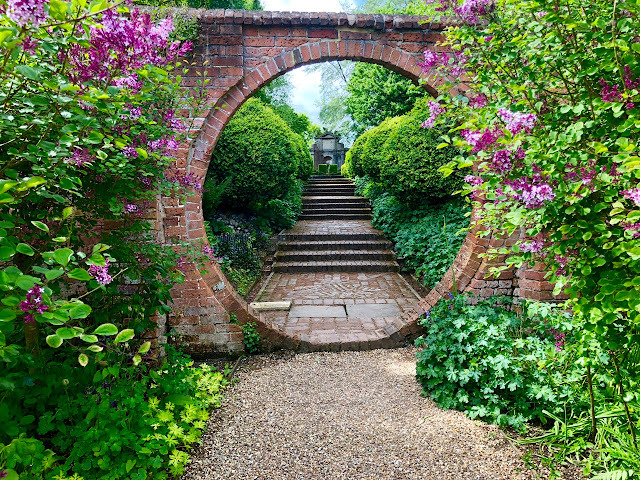 Hi, thank you for this wonderul photographs, I was there five days ago, it is my yearly visiting in Sissinghurst, a realy wonderful garden. 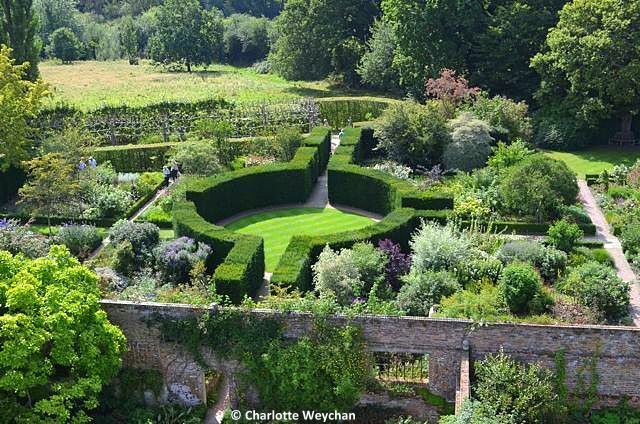 Sissinghurst which I've visited twice is at the top of my list of best gardens to see - what a treat to view your photos! !